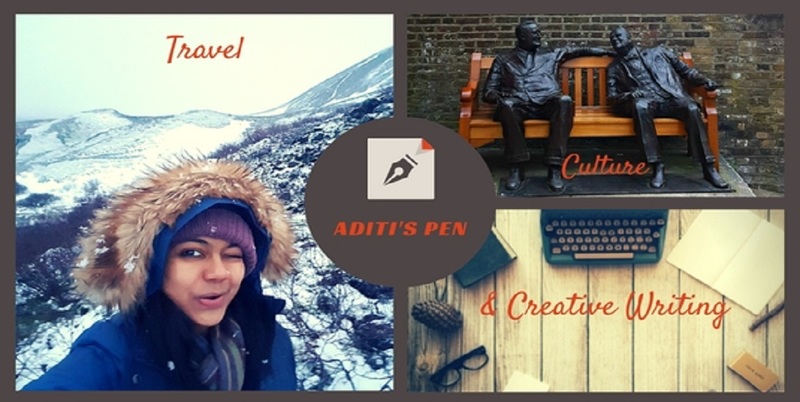 So everyone has been asking me what was the highlight of your trip. And a stroll in the Central Park is one of my top picks. "Park??" comes their response with a smirk. Well, my friend you have to be there to feel it! I went to Central Park on three occasions and still couldn't walk the entire length and breadth of it. It is all of 843 acres! From 59th Street to 110 Street between Fifth Avenue and Central Park West (Eighth Avenue) there lies a soothing gem between the rushed Manhattan. Let's take a tour. The first time I walked into the Park, I was met by Sir Christopher Columbus. This is called the Columbus Circle, one of the entrances to Central Park. 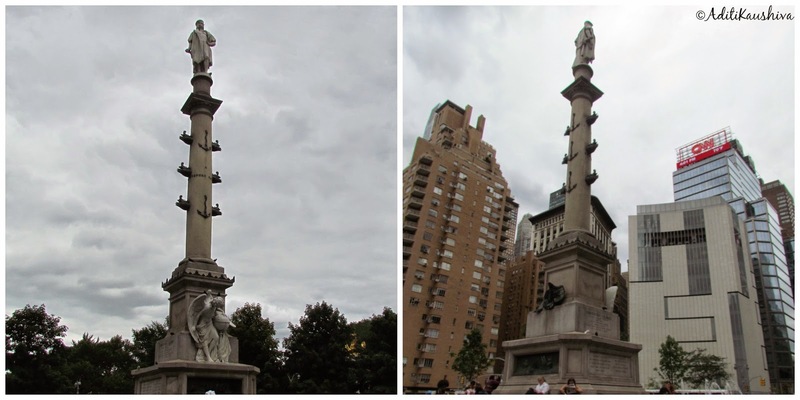 This sculpture was designed in 1892, on the occasion of the 400th anniversary of Columbus' landing in the Americas. Musical notes in every nook and corner of the park. Such talent no? And what interests me more is the varied instruments they play! 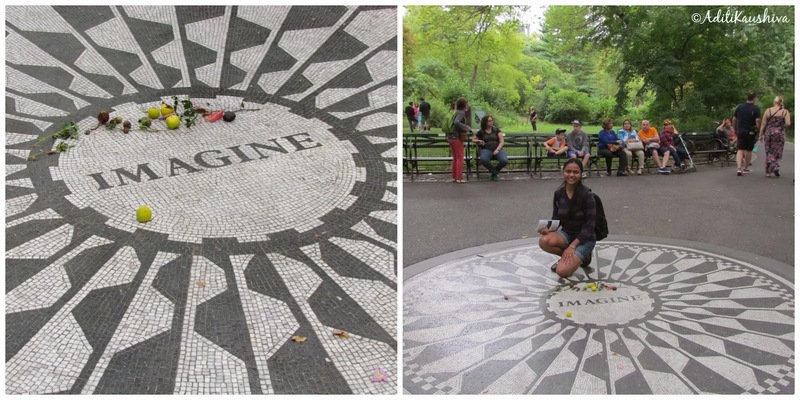 Listed as one of the Quiet Zones, the Strawberry Fields is dedicated to the world famous singer, song-writer and peace activist, John Lennon. With the recent Gaza-Israel humanitarian crisis, sitting in this peaceful place made me really think, WHY we are unable to understand such a simple thing and just live and let live! A melodious voice tuned in with beautiful guitar notes filled the space between these elm trees as I paid tribute to the great John Lennon. 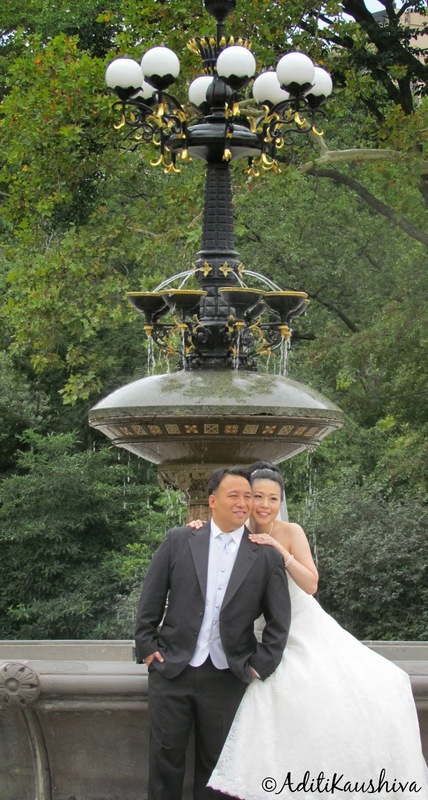 Central Park, where Love blossoms! Would have loved to do boating with M here! Isn't this romantic? Remember this place from a famous movie? E.B. 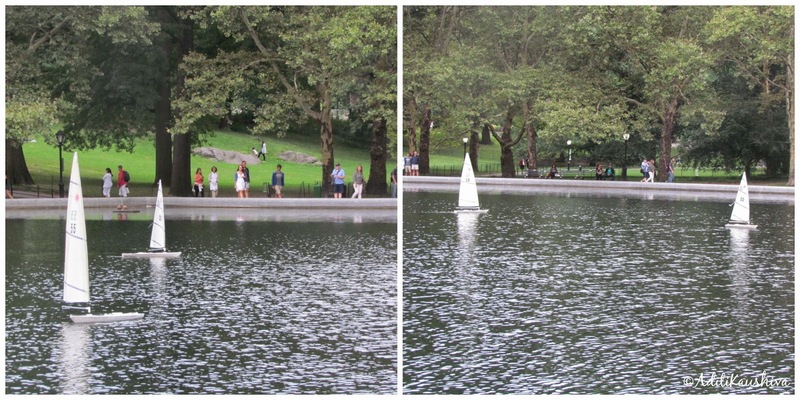 White had set the famous boat scene in his children's classic, Stuart Little, which was later recreated in the movie by the same name. There is a small cafe here where the onlookers can enjoy some snacks while the children have fun steering their sailboats. Wandering and wondering, this title suits so well to the time I spent at Central Park! I could keep going on but next in series is the Central Park Zoo, which deserves an entire post to be dedicated to it. So stay tuned! :) Thanks! You'll live it! 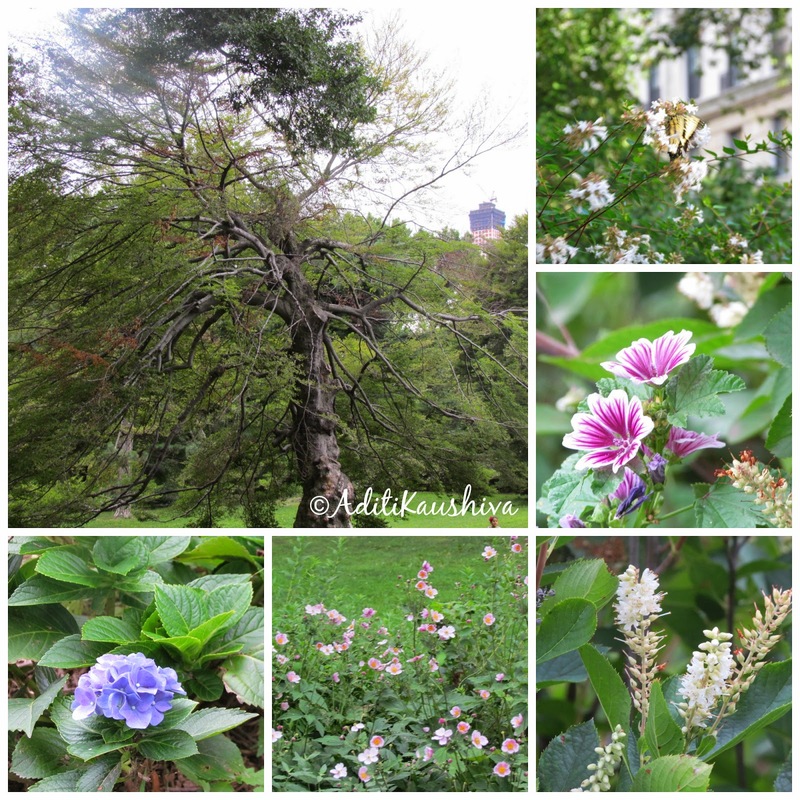 In some ways, being in Central Park is what defines the NYC experience! Your pictures have done great justice to the whole experience of being there. I love Central Park, there's always so much going on there! Last time I went I sat and listened to a live Israeli band who were brilliant. Glad you are having fun! Aren't the live performances there fun!! You just want to sway, sing and dance along with them no? 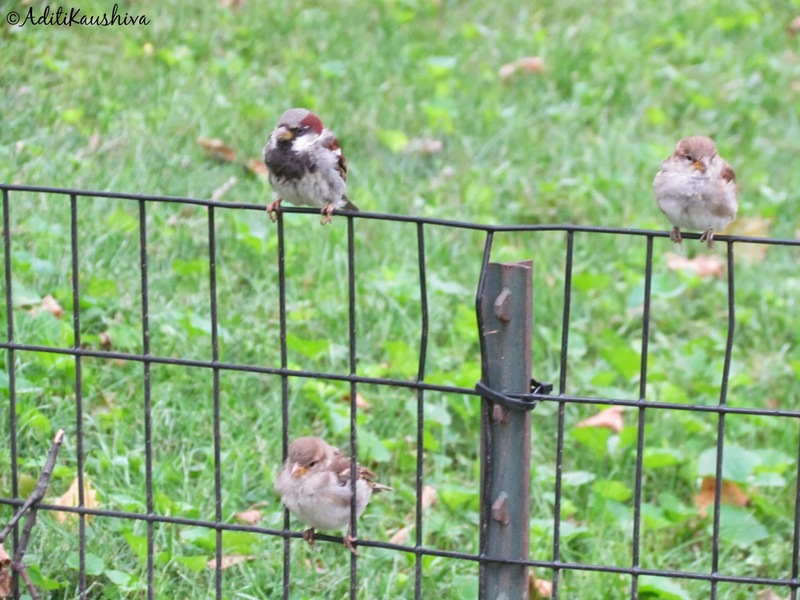 I just loved your tour of Central Park and felt I was right there with you. Your photos and descriptions are wonderful. I went to NYC last year to meet FB friends but never made it to the park. I was near it since we went to the Museum which is nearby. You've made me want to see it next time for sure. Glad you enjoyed your trip so much. I know how time can be a crunch in NYC, so much to do and see! 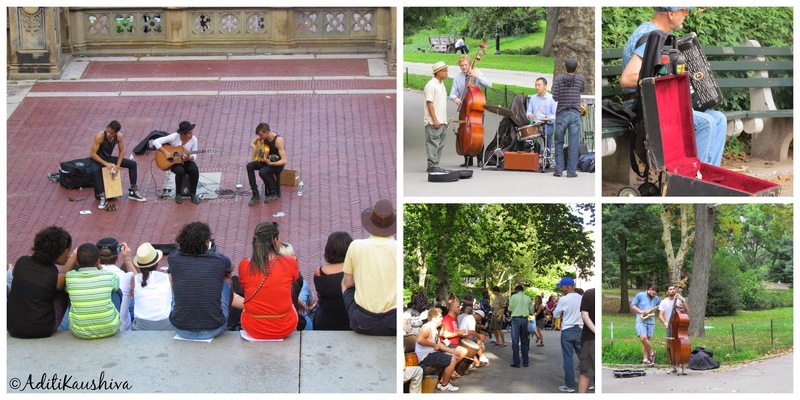 Do visit Central Park on your next visit! Very refreshing and very nice pictures. Would love to visit it some day! Thank you for the lovely post. I really enjoyed reading it. You took me back to NYC. On my last visit there my cousins and I had a very leisurely stroll through Central Park thought I seemed to watch the trees more than people. Oh yes nature bountiful! I had strolled into the North Woods by chance, and stood there awed beneath the trees! Loved the beautiful pictures and your ever lively description! Must have been an enriching experience for you as this plce looks amazing. Thanks for showing it to me virtually. WOW...that place looks amazing! Simply amazing with new things to discover at every turn. Your pictures captured the essence well. Beautiful... I wish I could be there someday! Hope that day comes soon! I know!! I wish I could do it all over again! Sigh! That is so great- such a huge green lunge in a maxi city like that! 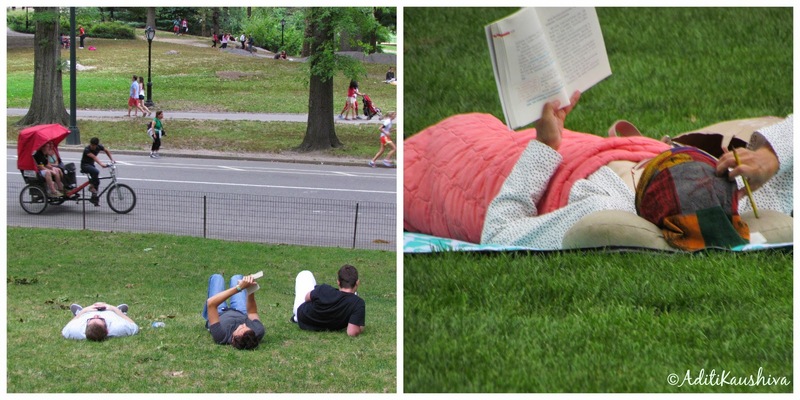 Awesome pictures- could feel I was right there with the music and the greenery- lying there with a book! Yes, thats life:-) Thanks for taking us dear Aditi! 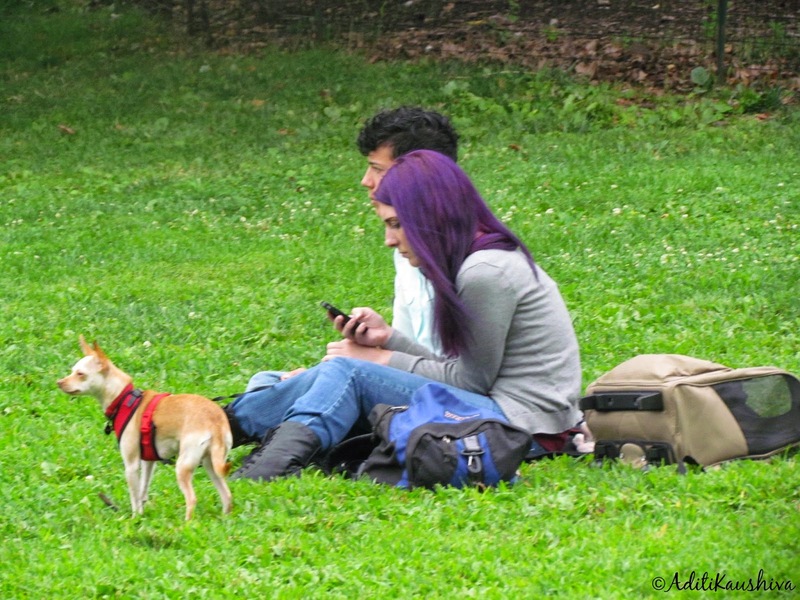 After vising your blog you recall my memories back to the central park. I have visited it many times last time before my toronto to 1000 islands bus . 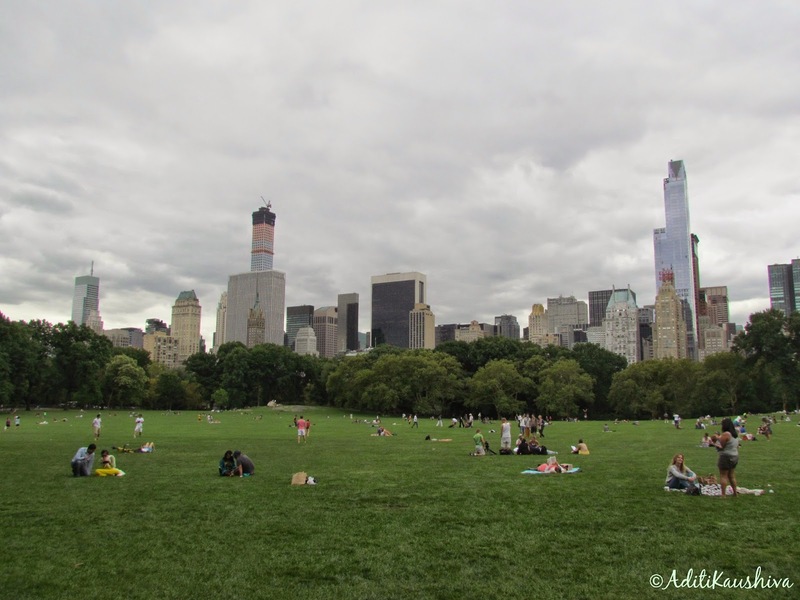 Central park is the New York’ most popular and tourist most visited attraction. I have visited it with my family in the vacation. This park providing the facility of landscaping and the numerous activities like the pedicabs, carriage horses, Ice skating, birding boating, Rock climbing and much more. 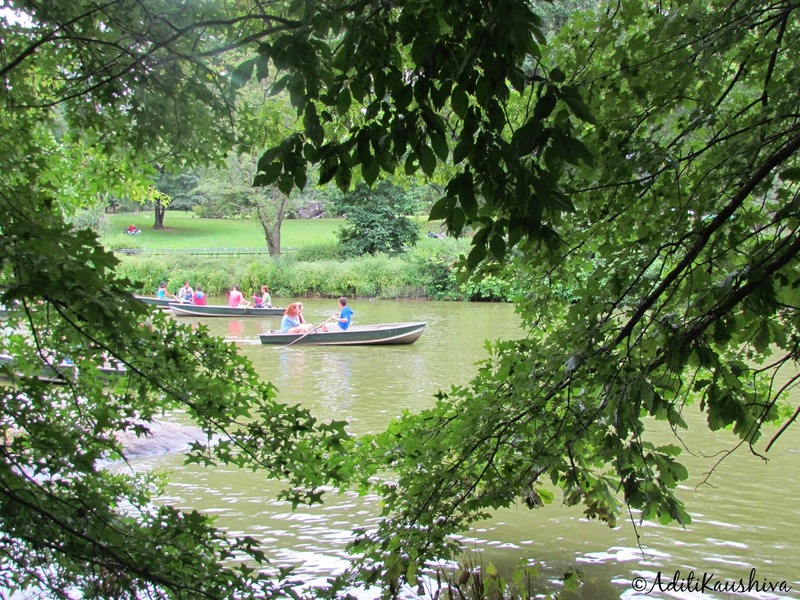 Central Park has so much to offer, right? I went there thrice and still wasn't able to capture it all! Sigh!